Bollywood romantic comedy movie Khoobsurat that released last week on Friday has completed its one wee journey on box office. Film was in good hypes among the media and the audience before release due to nice music and high promotions. 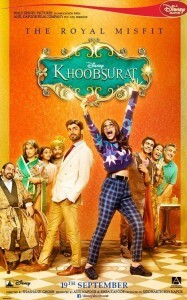 After release performance of Khoobsurat has been though not so excellent with respect to the expectations of the public. Film made a decent 1 week business and now with today another weekend start, day brought decent figures in its account. 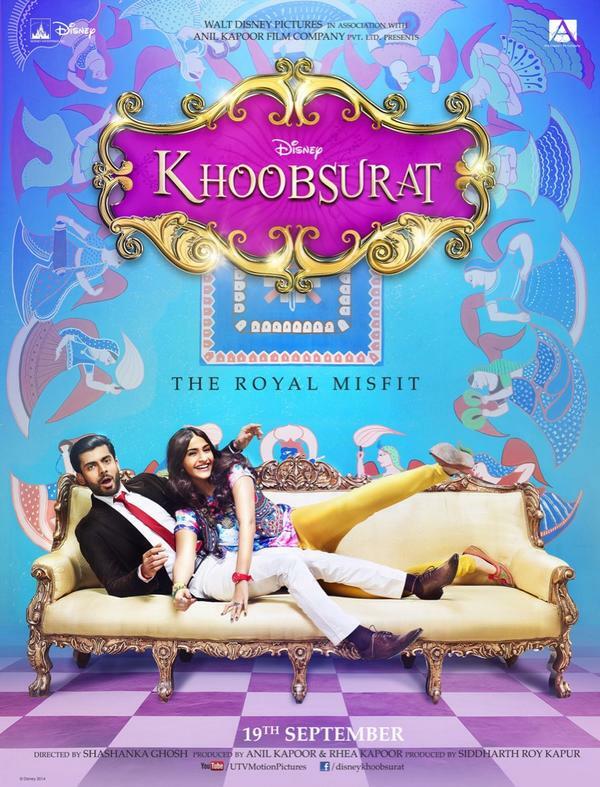 Khoobsurat Movie by now has managed to make sustainable business on big screens and trying to push itself towards audience but the scene does not looks much favorable for it. As new films got released today on box office so in-spite of 8th day being second weekend start, Khoobsurat collected 8th day income of around 1.8 Cr only. Both the successful star cast wit their previous hit release entered box office with a new story and chemistry last Friday. 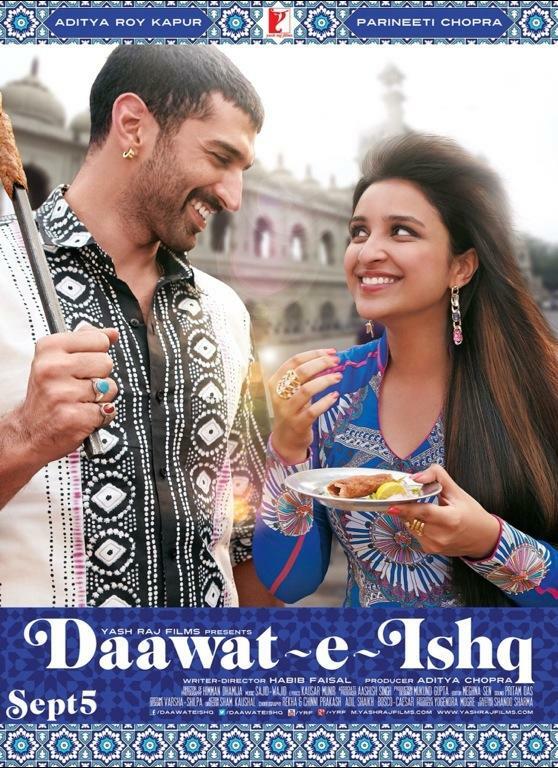 We are talking about Parineeti Chopra and Aditya Roy Kapoor starrer romantic drama movie Daawat-e-Ishq that hit the screens on 19 September. Now that the movie is done with its first week on box office yesterday, it should have been high time for the film to get back into position due to commencement of second weekend from today i.e. 8th Day. 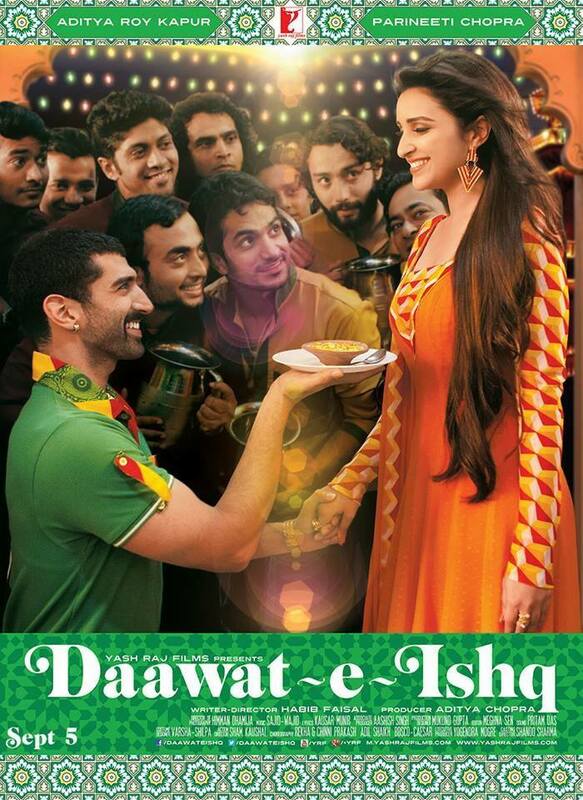 How so ever, Daawat-e-Ishq 8th Day Report does not shows that positive performance of the film. 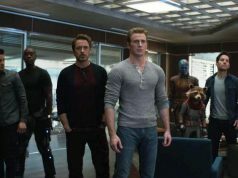 It received more high competition due to many Bollywood flicks that released today automatically affecting the occupancy and income of movie. 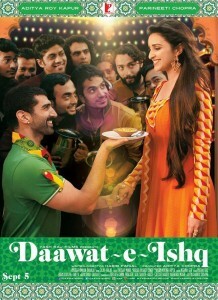 On its 8th day at Box Office, competing with Khoobsurat and other new releases, Daawat-E-Ishq has collected around 1.5 Cr.